note: the velocity of escape from the solar system at the distance of the earth's orbit is 29.785 km/sec. 2for equatorial rotation; the planet's rotation is slower at higher latitudes. 1. Allen, C. W., Astrophysical Quantities, Third Edition. London: The Athlone Press, 1973. 2. COSPAR, CO SP AR International Reference Atmosphere. Berlin: AkademieVerlag, 1972. 3. 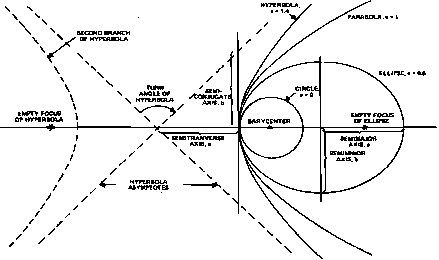 Hedgley, David R., Jr., An Exact Transformation from Geocentric to Geodetic Coordinates for Nonzero Altitudes, NASA TR R-458, Flight Research Center, March 1976. 4. Hedman, Edward L., Jr., "A High Accuracy Relationship Between Geocentric Cartesian Coordinates and Geodetic Latitude and Altitude," J. Spacecraft, Vol. 7, p. 993-995, 1970. 5. H.M. Nautical Almanac Office, Explanatory Supplement to the Astronomical Ephemeris and the American Ephemeris and Nautical Almanac. London: Her Majesty's Stationery Office, 1961. 6. Mihalas, Dimitri, Galactic Astronomy. San Francisco: H. W. Freeman and Company, 1968. 7. Muller, Edith A. and Amdst Jappel, Editors, International Astronomical Union, Proceedings of the Sixteenth General Assembly, Grenoble 1976. Dordrecht, Holland: D. Reidel Publishing Co., 1977. 8. Owen, Tobias, "Jovian Satellite Nomenclature," Icarus, Vol. 29, p. 159-163, 1976. 9. U.S. Standard Atmosphere, Washington, U.S.G.P.O., 1976.